What are your main responsibilities? 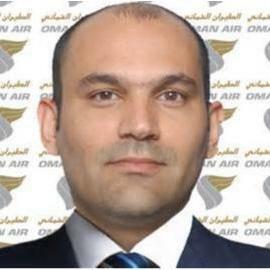 I manage the Oman Sales team at Muscat and Salalah, develop Oman Air Business through different distribution channels, thus ensuring the various commercial objectives of the company are met. What are your company's Unique Selling Points (USPs) in Oman? We are an award winning airline offering non-stop services to a choice of destinations with a touch of Omani hospitality. What achievement are you most proud of? I have achieved targets every year throughout my career, that is certainly an achievement I’m proud of. What would you still like to achieve (in life, leisure or business)? 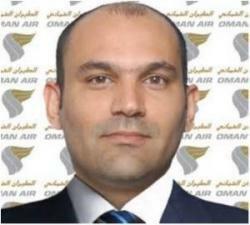 I would like to continue my career growth to the Top and be part of Oman’s development and economic growth. What do you think makes Oman an attractive destination to do business? The people of Oman! That’s the first thing people would say to me during my time in the UK as Country Manager for the UK and Ireland, the beaches, mountains and of course culture and history. What sectors do you think will thrive in Oman and the UK in the coming years and why? Logistics, Oman is emerging as a logistics hub and a lot of development is currently underway with a lot more to come, Tourism is a growing sector and will continue to grow both in Oman and the UK, Retail is another sector which keeps on growing year on year. What is the best business advice you have ever received? Believe in yourself, you are the best! Favourite destinations in Oman and why? Jabal Shams, it’s quite, fresh air, amazing views and just peaceful. Favourite destinations in the UK and why? Hands down London! Everything in London is Great. I do like North Wales as well, it’s a quite place, peaceful, fresh air and just wow. Favourite restaurant in Oman and UK? Shahrazad at the Shangri la in Oman and in the UK (London) I like Hakkasan and the Sunday roast at The Lamb in Chiswick. What are your hobbies? Sand Dune bashing, off road driving in general and classic cars. What five things would you take to a desert island? Lots of Water, Music, fishing rod and a lighter that never runs out of gas. What public figures do you most admire and why? Steve Jobs, for his dedication, inspiration, believing in dreams and always remained true to his beliefs.